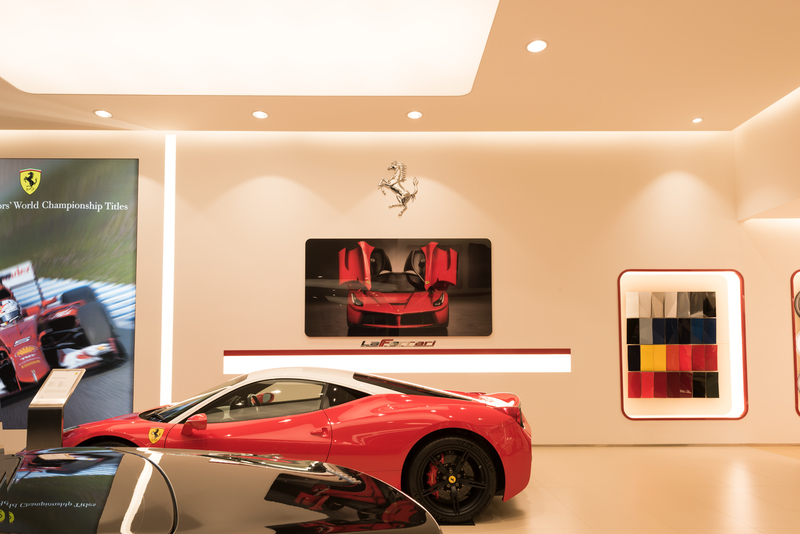 To showcase new and classic Ferrari vehicles from the 488 series to the award-winning Ferrari F12 Berlinetta, EGE Lighting designed a comprehensive lighting solution. 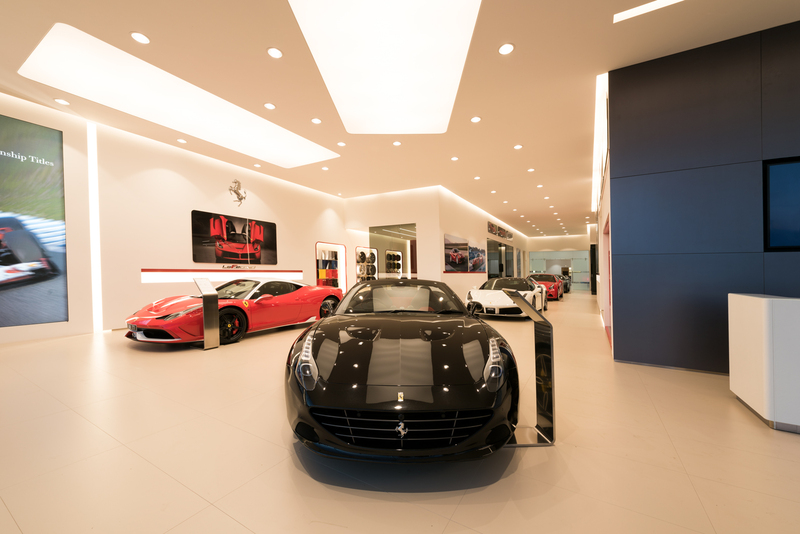 A combination of downlighting and strip lighting was utilised throughout to showcase the attention to detail in each vehicle and finish. 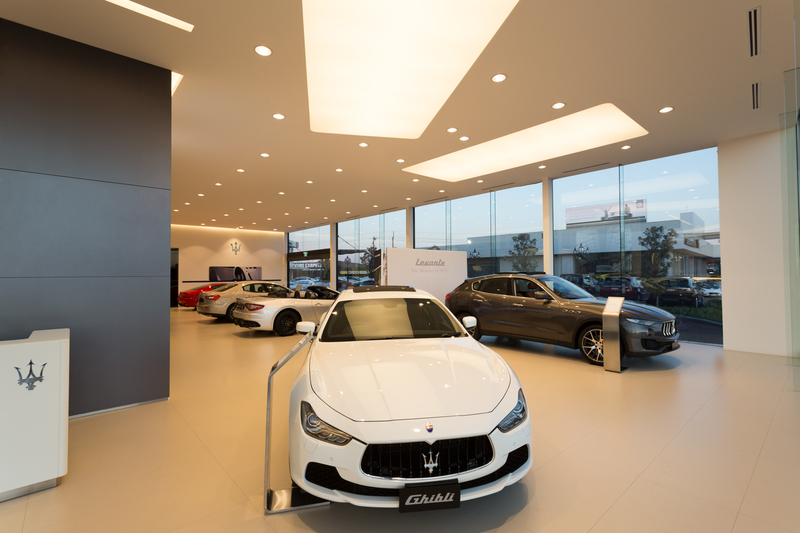 An inventive use of strip lighting with the Eclipse Series was employed throughout the showroom. 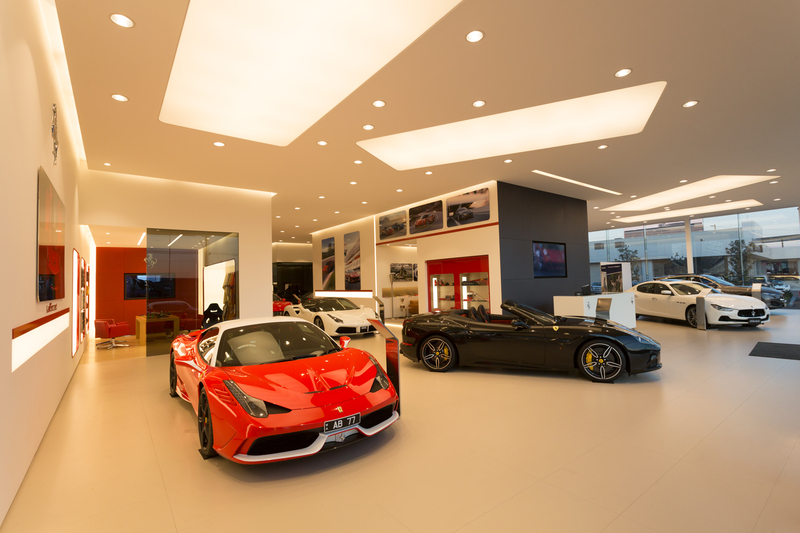 The showcase feature lies in a seamless rectangle of strip lighting that frames the building and leads the eye into the interior. 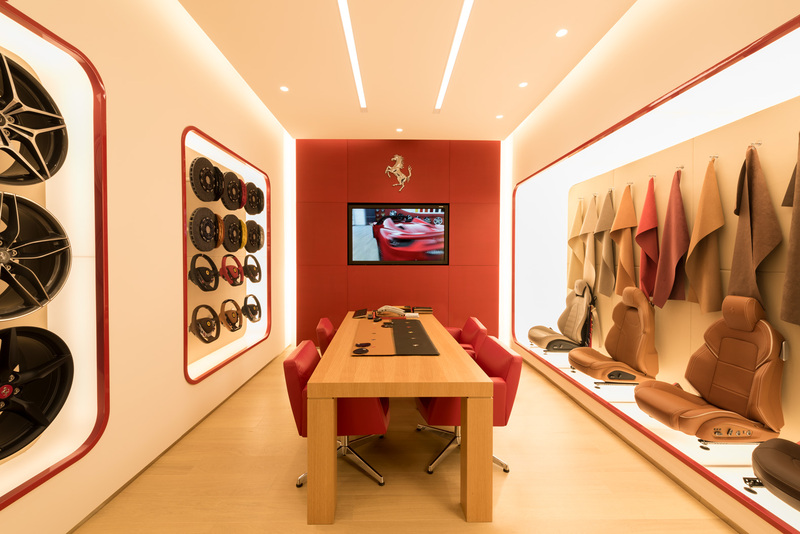 On the interior, a number of different rooms are equipped with the Eclipse Series to accentuate the customisation available with each vehicle — from the interior fabrics to the steering wheel choices. 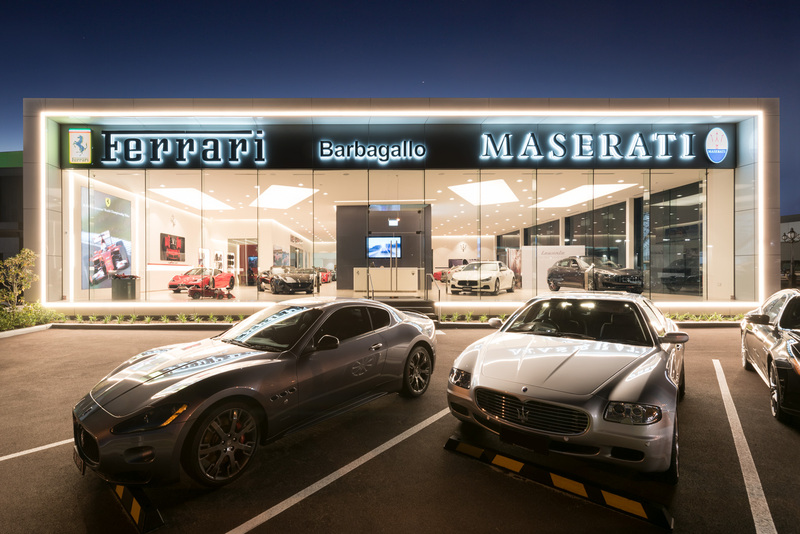 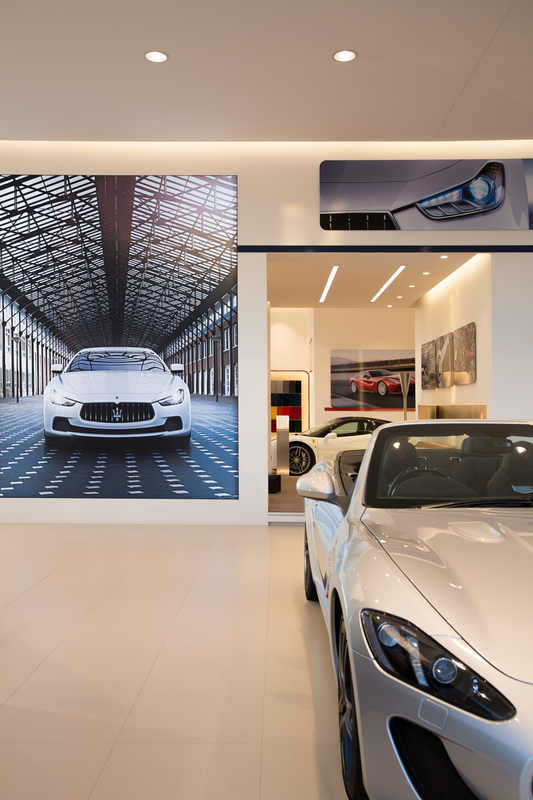 Each luminaire implementation is designed show every part of the Ferrari and Maserati experience in its best light.